In constrast to ropes assembled on multiwire cores, the use of the compact monowire core provides optimum stability concerning the contact of the rope with such organs as vehicle attachments rollers and transmission sheaves and pulleys. The compact monowire core, plus a unique roping manufacturing technique (the only one of its kind in the world) guarantees a perfect control and regularity of the rope and straightness. 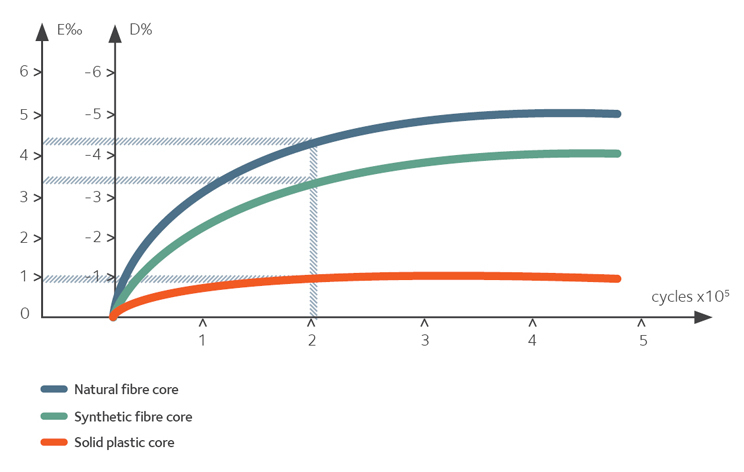 The assembly technique and the choice of material for the monowire core provide the best possible guarantee of that the original rope geometry is kept during the whole rope life: smallest variations in rope diameter and length in service. The exceptional qualities of the compact core technology provide an extremely long service life: no contacts between adjacent strands, even at the end of the service life,this allows to take profit of the maximum fatigue life potential of the individual steel wires.